Cryo-electron tomography (cryo-ET) makes it possible to obtain a three-dimensional reconstruction of unique, heterogeneous biological structures, such as flexible macro-molecules, organelles, and small cells, when these are sufficiently thin to be imaged by transmission electron microscopy. In order to obtain a structure, a tilt series is recorded of a single specimen: a set of two-dimensional images recorded at different angles. 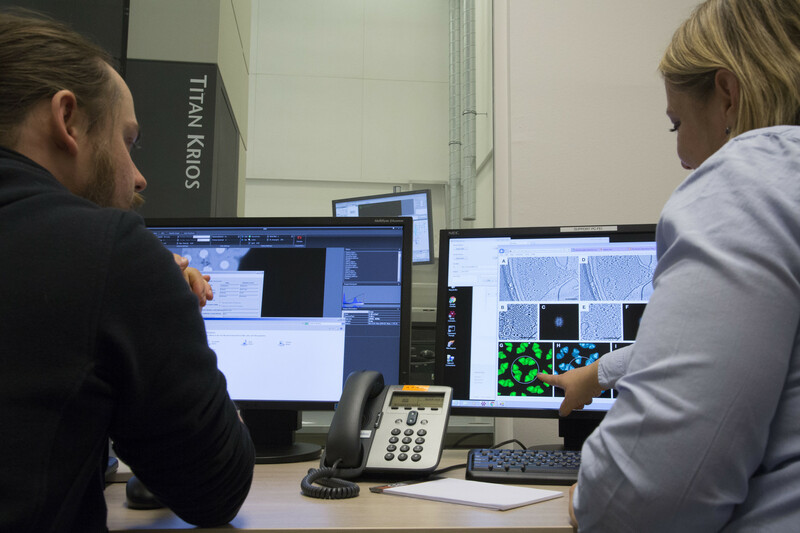 At NeCEN, automated dual-axis tomography is available at the two Titan Krios microscopes, enabling recording of two orthogonal tilt series, allowing many higher quality reconstructions. From the tilt series, three-dimensional reconstructions of the objects are then computed allowing unprecedented insight into biological structures.